Gestational diabetes (GD) affects about 1 in 10 women during their pregnancy. Fortunately, unlike other types of diabetes, GD (if treated properly) typically goes away after the baby is born. Although GD is usually short lived, it’s important to treat it for the health of the mother and baby. Since GD is often diagnosed later in the pregnancy, after the baby is developed, the risks to the baby are low. However, if GD is not managed, the extra insulin can a baby to be a bigger baby and delivery complications may occur. The best way to find out if you have gestational diabetes is through testing and your doctor will recommend a test between the 24th and 28th week of your pregnancy. If you have certain “risk factors” such as advanced maternal age (over 35) or being overweight, your doctor may have you tested earlier in your pregnancy. Initial Glucose Challenge Test: This test is also known as the 1 Hour Glucose Test. There is usually no fasting required for this test and patients are encouraged to eat as they normally would throughout the day. At the 1 hour test, you will be asked to drink a syrupy glucose solution, sometimes known as Glucola. Many people describe the glucose solution as tasting like flat soda, depending on the flavor, but it has a very sweet taste. that you’ll need to move on to the 3 hour test. Follow-Up Glucose Tolerance Testing: This test is also known as the 3 hour Glucose Test. Just like the initial test, you’ll be asked to drink the glucose solution, but this one has a higher concentration of glucose. You should fast (no food or drink) overnight and your blood will be drawn before you drink the Glucola, and after the first, second, and third hours. 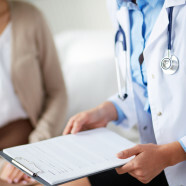 If at least 2 of your results are higher than normal, you will likely be diagnosed with GD and you will discuss treatment options with your doctor. What If I Tested Early in My Pregnancy? If your doctor tested you for GD before 24 weeks and you passed your glucose screening, you may have to be retested later in your pregnancy. Are There Side Effects to the Test? Although most women do not feel any ill effects from the glucose test, some women may feel light-headed, sweaty, or nauseous after drinking the glucose solution. If you start to feel ill, talk with medical staff and try to stay calm and quiet while you wait. Kristen has Type 1 diabetes and when she was in her early twenties she got a golden retriever puppy, whom she named Montana. One night, when Kristen was sleeping, Montana would not leave her side and was insistent that she wake up. At first, Kristen was annoyed that her dog had disturbed her sleep, but then she thought about checking her blood sugar, which ended up being low. Since the initial incident, Kristen’s four-legged friend wakes her up a few nights a month when he detects her blood sugar is low and when she tests, he’s always right. Without Montana’s vigilant watch over Kristen, she could easily have an accident, fall into a diabetic coma, or even die. In Kristen’s case, she was fortunate to have Montana by her side. Montana had not been trained to detect low blood sugar, it was just something he picked up on his own, but since the first life saving detection, Kristen does reward him with treats whenever he alerts her that she is hypoglycemic. 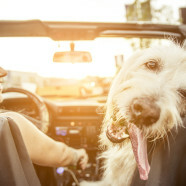 A dog’s sense of smell is about 100,000 times more accurate than a human’s and even if you find your dog’s keen sense of smell to be annoying at times, it can be a lifesaver. A diabetes service dog is trained to smell the changes in a person’s blood sugar, either too low or too high, through the person’s breath and body odor. Once the dog detects the change, he or she is trained to constantly alert (through pawing, whining, or barking) the individual until the levels return to normal. If the diabetic individual is unresponsive or is not improving, the service dog is trained to seek assistance from someone else. Like other service dogs, a diabetes service dog becomes a constant companion and is always on watch for changes in his or her diabetic companion. Not only can a diabetes service dog save the life of his or her companion, but individuals with diabetes may feel more in control of their diabetes and may feel less afraid to partake in everyday activities such as work, social engagements, and even taking a nap. Being a mom is never easy, but packing lunches for your kids is especially hard. And if your kids have diabetes, things get even more difficult. Kids can be picky in best of circumstances, and most of them don’t have the mental abilities yet to understand their medical condition. But there’s plenty of nutritious food that even kids will love. Not everything is loaded with sugar. And on the other hand, not all foods marketed as healthy will be appropriate for a child with diabetes. Read on for some basic advice on what to seek and what to avoid when putting together your kids’ lunches. Fresh fruit is a great way to get your children eating nutrient packed foods. Fruits are full of vitamins and minerals, and for most parents, fruit is an easy thing to pack for kids. But if your kids have diabetes, fruit has a catch: it’s often loaded with sugars. Grapes, apples, bananas, and other fruits may lead to blood sugar spikes. One way to counteract this sugar blast is to add some cheese to your kids’ fruits. Cheese is filled with protein, which makes diabetic bodies process carbohydrates more efficiently. Luckily, high protein cheeses are easy to find, and kids love them. Try adding a few cubes of cheese to a small tupperware of grapes to keep your kids happy and healthy. Not all supposedly healthy food is going to be good for your kids, especially if those kids are diabetic. Yogurts, especially, can pack some seriously absurd degrees of sugar. A little container of yogurt, if you’re not careful, can be as sugary as a can of soda. Yogurt does have plenty of health benefits. If you look at labels, you won’t have too much trouble finding a yogurt that doesn’t overload your kids’ blood with glucose. Another way to add protein to yours kids’ diet—and thus help their bodies process sugars at a safe pace—is to add nuts to their diets. Nuts like almonds and walnuts and loaded with proteins and healthy fats that will give your kids long-lasting and powerful energy. And they’re delicious. Most kids love the crunch and flavor of nuts. Just remember to lay off the salt. Kids love sandwiches, and as a mom, you’ve probably already gotten sandwich-making down to a fine art. But did you know that fluffy white bread can be tough on diabetic systems? Processed, white breads are digested quickly and can make blood sugar levels pop up. Stick to whole grain breads, which the body digests more slowly. Diabetes can lead to low blood sugar as well as high. And low blood sugar is scarier. Make sure your child has access to foods that can boost sugars quickly. Send a juice box with them with they leave for school, but remember to tell them to save it for when they need it; a jump in glucose levels is usually not the thing they need. Diabetes is a metabolism malfunction, connected to the inability of the body to convert glucose. The symptoms for diabetes in an individual are often quite evident. Symptoms often include: frequent urination, constant feeling of thirstiness, hunger even after having eaten, extreme sense of fatigue, problems with vision (blurry), and really slow process of healing of cuts and bruises. This slow healing can lead to a dangerous complication that can result from chronically high blood sugar levels. Neuropathy or peripheral neuropathy is a common complication of systemic disease such as diabetes. This disorder occurs because of the malfunction of nerves which have been destroyed or damaged. Because of this, the transmission of signals is significantly interrupted, thus causing the sense of pain even though there may be nothing wrong in that area, or the opposite of not sending pain signals when something isn’t right. This can cause loss of sensation and numbness usually in the extremities. This happens very often in the feet. It is estimated that about 70 percent of those with consistently high blood sugar levels will eventually develop peripheral neuropathy. Diabetes is one of the top causes for this type of neuropathy. It usually appears in people with diabetes that are overweight, over 40 years old or have significantly high blood pressure. This is extremely dangerous because even a slight injury to the foot can easily go unnoticed and can turn into a more serious scenario, possibly even leading to amputation. With the nerve damage diabetes causes, the proper function of the immune system of the body is interrupted. People suffering from diabetes often have problems with infections and coagulation from open wounds. Some precautions need to be taken in order to prevent these minor wounds from becoming an even bigger problem. In case this happens, the individual should take action as soon as possible to prevent a build-up of bacteria and the creation of larger bacteria colony. Some immediate steps to take are to place the wound under a water stream to clean any dirt or debris from the wound. After that, it is important to apply an antibacterial ointment on the open wound and cover it with a sterile bandage. It is not recommended to use soap, iodine or hydrogen peroxide as this will only increase the irritation. Soap should only be applied around the areas of the wound, but not on it. Be sure to change the bandage every day and put on a new sterile bandage, while making sure to clean the area around it each time. Regardless of how minor the injury may seem, it is very important to consult with your doctor and get the injury checked out. Even minor skin rashes or wounds are advised to be seen by a professional in order to prevent bigger problems. Especially if the location is the foot (diabetics are prone to have blisters on such areas), stay off the foot as much as possible. The best therapy is prevention; if you suffer from diabetes check your feet daily for any changes on the skin. Practice proper and diligent hygiene, and wear proper socks and shoes. Also, take care when clipping toenails, and keep an eye out for ingrown nails, as they can result in bigger issues as well. Diabetes, to most people, is a bad, scary word. Diabetes conjures up images of sick people who need to obsess over food and put themselves in harm’s way on a regular basis. To this line of thought, diabetes is life sentence, and bad consequence of decades’ worth of bad eating and sloppy living, however what if we changed our focus on this type of thinking. Diabetes Will Encourage You to Focus on Nutrition. When you develop diabetes, you will need to focus on what you eat, and you’ll need to keep in mind the ways in which what you eat affects your entire body. This may have have unexpected benefits. Keeping your nutrition in mind when you plan, fix, and eat meals will leave you a healthier person in ways far beyond the ones related to your diabetes. If you speak to dietitians frequently, you’ll notice some patterns in their recommendations: don’t overeat; make sure you’re getting plenty of fruits, vegetables, and whole grains; avoid processed food and saturated fats; and get lots of exercise. The reason dietitians recommend these strategies is so many health situations is that these guidelines will benefit every part of your health. So when you focus on your diabetes when planning your diet, you’ll be helping more than just your blood sugars. 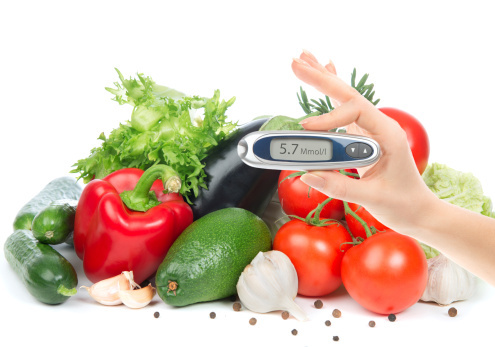 A diabetes friendly diet will help your heart, your energy levels, your brain, and much more. Diabetes will help you stay focused. Having to make decisions all the time is tiring. Before diabetes, you probably wasted time thinking about what to eat, when to exercise, and how to organize your life. You probably flip-flopped back and forth about how to run your life, how healthy you wanted to be, and how much effort you wanted to spend taking care of yourself. Diabetes changes all that. When your doctor tells you that you need to cut out refined sugars and processed foods, to incorporate more exercise into your routine, and always maintain focus on what’s good for your body, you know for certain what you need to do. Many diabetes patients credit the disease with giving them purpose in life. When you have a clear problem, you have a clear goal. Despite all of its drawbacks, diabetes is interesting. When you develop the disease, you’ll have a lot to think about. When you research your condition, you’ll learn about many things: your blood, your diet, and your digestion. And you’ll have concrete examples of all of these things to look at everyday—eating certain foods will lead to higher numbers in your blood sugar charting, and you’ll be able to observe patterns. These are all fascinating topics which lead to a strange conclusion: having diabetes is intellectually stimulating.